You'll be £10.39 closer to your next £10.00 credit when you purchase The United Irishmen, Rebellion and the Act of Union, 1798–1803. What's this? 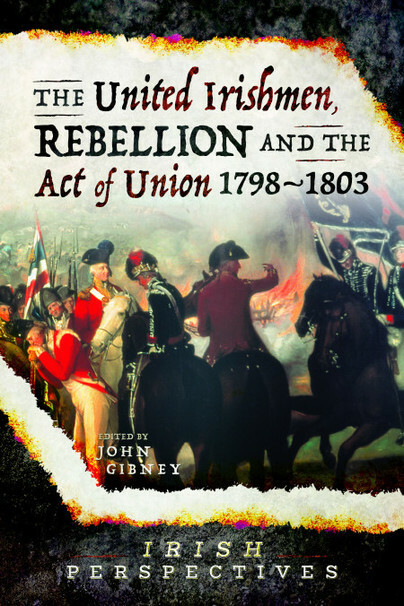 The 1790s is one of the most critical decades in the history of modern Ireland. The decade witnessed the birth of the modern ideology of separatist Irish republicanism, the creation of the Orange Order, and the greatest bloodletting in modern Irish history in the form of the 1798 rebellion. In the aftermath of the rebellion came the Act of Union that brought Ireland into the United Kingdom for the next 121 years, and the smaller rebellion of Robert Emmet, possibly one of the most famous – and, to later generations, inspirational – of Irish republicans. Now, in the second instalment of the collaboration between Pen and Sword and History Ireland magazine, some of the world’s leading experts on the 1790s explore the origins, nature and aftermath of the decade from a range of perspectives: from the individuals involved and their international links, to the events of the rebellion and the responses of the government, to the manoeuvres that led to the Act of Union, this volume explore the motives, actions and legacies of the republicans, loyalists, and propagandists who shaped one of the most important decades in Ireland’s modern history.